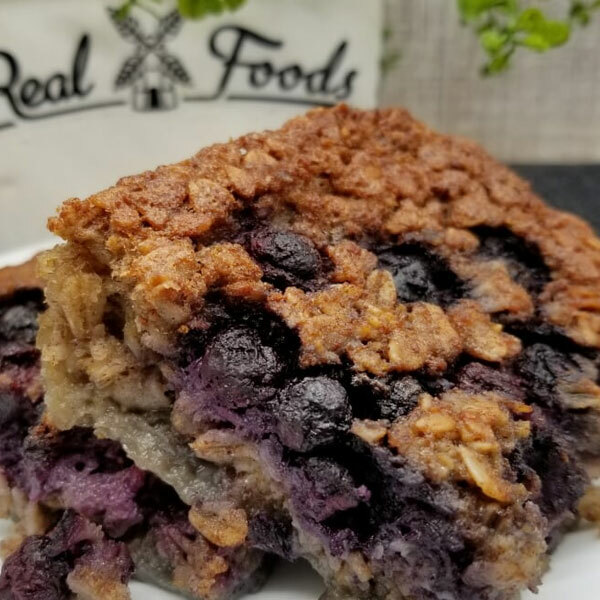 Organic thick-cut oats blended with milk and eggs, baked into a casserole with whole blueberries on top. Enjoy as a breakfast or snack. Warm it and serve as is or add maple syrup and cream.